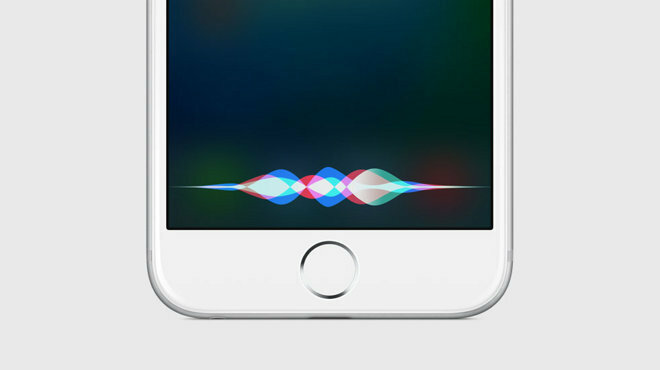 Ahead of tomorrow's special event, AppleInsider has learned that Apple's iPhone 6s will boast always-on "Hey Siri" voice activation, meaning users can invoke the virtual assistant even when their device is unplugged. Referred to as "hotwording," the upcoming iPhone 6s function will work much like Android's "OK Google" service, which enables hands-free Web searches, message composition, voice calls, control of general device functions and more, according to a reliable source familiar with the matter. Apple's Siri provides similar capabilities, but the device must be connected to a power for "Hey Siri" voice activation to work. Functionally, the new "Hey Siri" command works in a similar fashion to its iOS 8 forebear, meaning it can be invoked from anywhere within iOS, the source said. For example, users writing an email or iMessage might use "Hey Siri" to check Calendar dates or find a nearby restaurant. It is not currently known if Apple accomplished the feat completely in software, but current iOS 9 beta versions do not support unplugged "Hey Siri" functionality. Certain Android handsets that support the always-on "OK Google" feature use a specialized voice activation monitoring chip to wake the device from sleep without significantly impacting battery life, suggesting Apple built in compatibility on the hardware level. The addition is not surprising considering Apple Watch's voice-activated Siri solution. Although Watch's version is not perpetually monitoring for keywords, owners of the device can invoke Siri by raising their wrist and repeating the "Hey Siri" command. As announced in June, Siri comes greatly enhanced in iOS 9 with contextual "Siri Suggestions," proactive search services, deep searches, sports and weather integration and more. The big story is contextual processing of data to facilitate smarter operation. For example, a user reading an email might tell Siri, "Remind me about this tonight," and the virtual assistant will generate a reminder accordingly. Apple is expected to release its next-generation iPhone models and new Apple TV hardware at a special event in San Francisco tomorrow. AppleInsider will be providing live, on-the-scene coverage from inside the venue starting at 10 a.m. Pacific.